Hi your post is interesting and much helpful. Please also post somemore info about load balancing Share point portals between sites. Sure, i will drop you email regards to your query. That was a wonderful article. Is it possible to have the hardware/software requirements also specified for the topology suggested? I notice in the high availability topologies there is only one domain controller. Is this a single point of failure, if this goes down will the farm continue to work or are all the credentials cached? I notice there is only one domain controller. Is this a single point of failure. If it goes down will the farm continue to work? in the small farm configuration you mentioend --> This provides a way to manage the database separately but adds complexity without adding scalability or availability. i think that is wrong because comparing a stand alone MOSS 2007 installaing with a small farm, the small farm allows you to add additional web or application servers in the future. The stand alone installation does not allow you to add additional web servers. 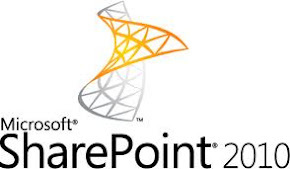 Yes, I do agree that, SharePoint allow us add additional web or application servers. The context i stated that for the architecture provide complexity without adding scalability or availability for production server. Can you please share visio diagram of various server topologies if it is not against your ethics. Faizal sir, i recently moved to sharepoint admin, i need to design one large farm server for morethan 1lakh users, i am new to this all, please help me to do this.